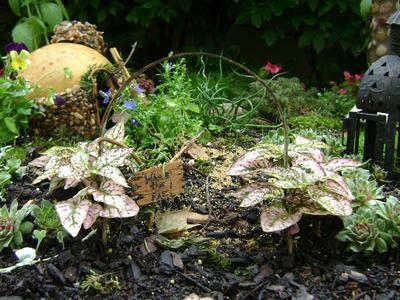 Here is how I made this fairy garden: I used a coffee table I found curbside. It had been glass topped. I used the space the glass occupied and lined it with chicken wire and a couple of layers of burlap. I then filled it with soil with fertilizer and started planting Licorice Plant, Scottish moss, moss from my shady side yard, Hens and Chicks, Impatiens, Corkscrew grass, Oregano, Sedums, Pansies, Lobelia, etc. 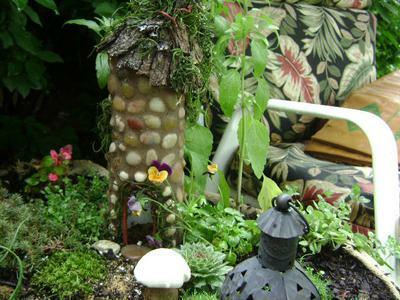 I made a fairy tower with some bathroom redo leftovers and a pringles can, funnel, rocks, bark, moss and sticks. I used a chunk of gourd for a Hob house along with some other craft supplies, complete with solar light, fireplace and bedroom loft. An old small lantern made a gazebo. I poured sand paths and added rocks, tiny potted plants, signs and a basket handle entry arch. 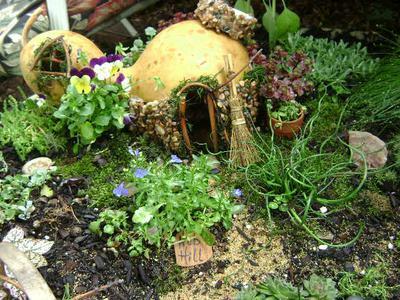 Fairy gardens are always a work in progress and there is always stuff to add. I just love this! What a creative idea to create this on top of a piece of old furniture you found. 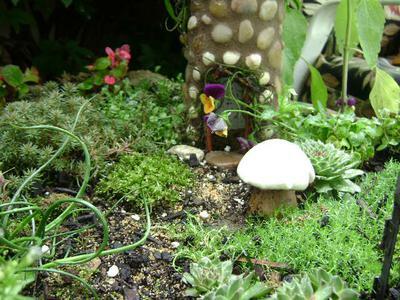 Your fairy garden is beautiful! May I share one of your articles on my site about paper lanterns? After publishing I will link for you as an author! Thanks! 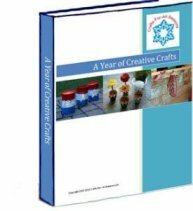 Could you please contact me here https://www.crafts-for-all-seasons.com/contact-me.html so we can talk? Thanks!